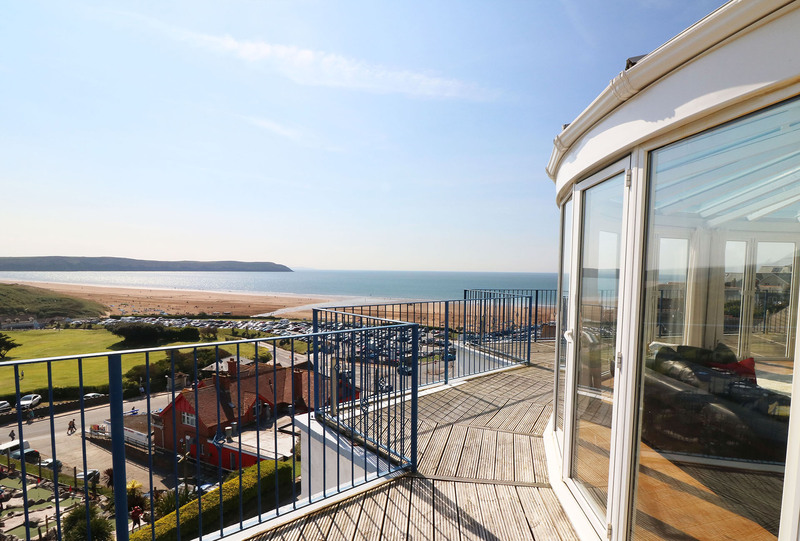 Imagine waking up in this penthouse apartment to the magnificent uninterrupted sea views across Woolacombe beach to Putsborough & out to Lundy Island. 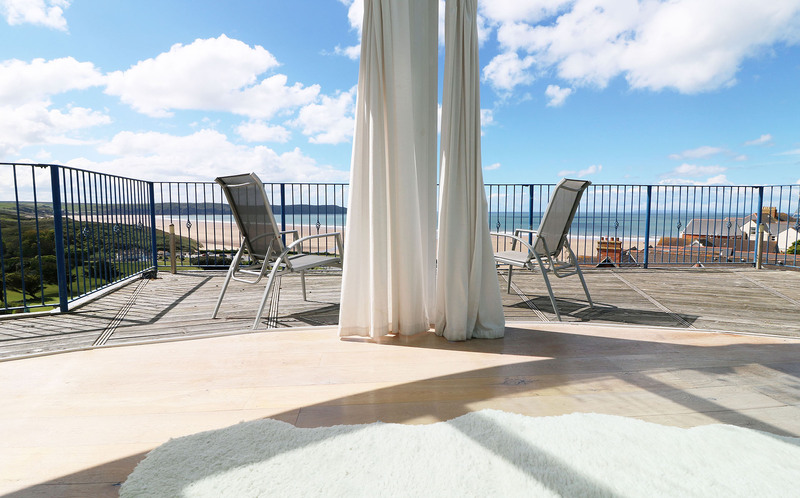 Open the bi-fold doors and enjoy sunsets on the wrap-around terrace! 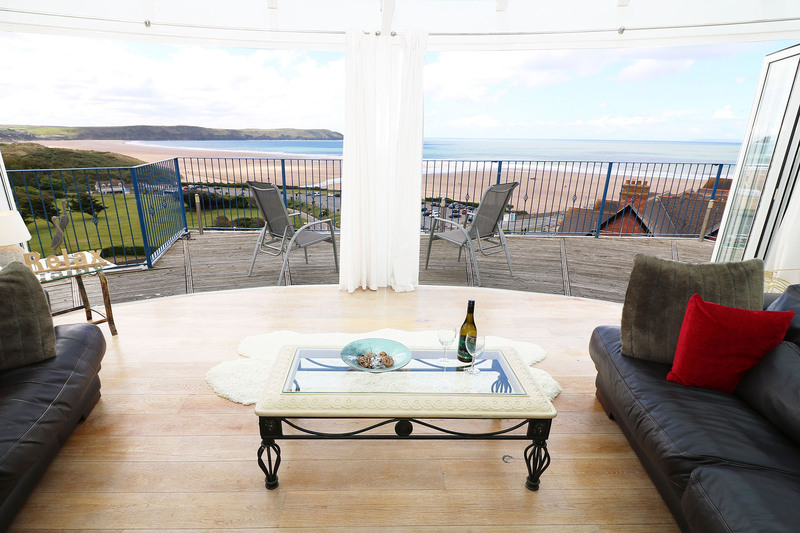 Sleeps 10 with large living area, master en-suite & parking for 2 cars. 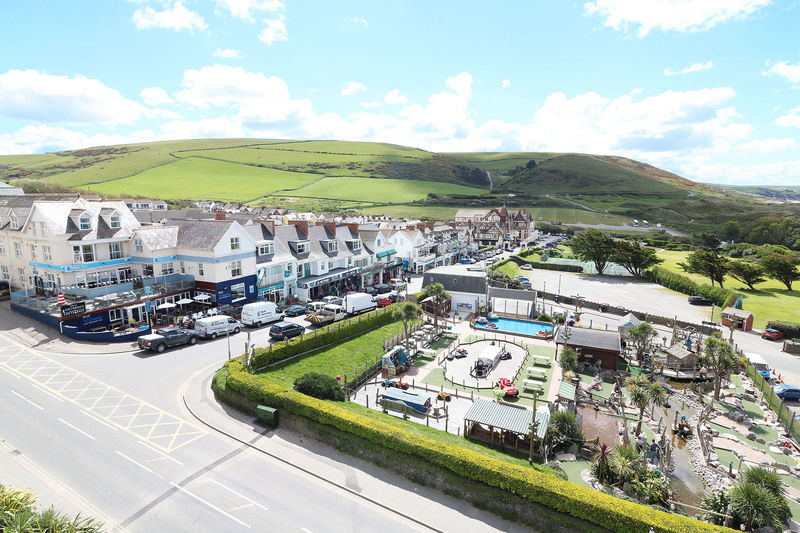 The Penthouse apartment is located in the perfect position to gain access to Woolacombe's famous surfing beach and the amenities of the village, whilst being positioned high up making the most of the wonderful views. The apartment has a fabulous open plan feel, with well equipped kitchen, breakfast bar and French doors leading to onto the wrap around terrace. A few steps lead up to a large dining/living area (seating 10) with huge glazed area and bi-fold doors. 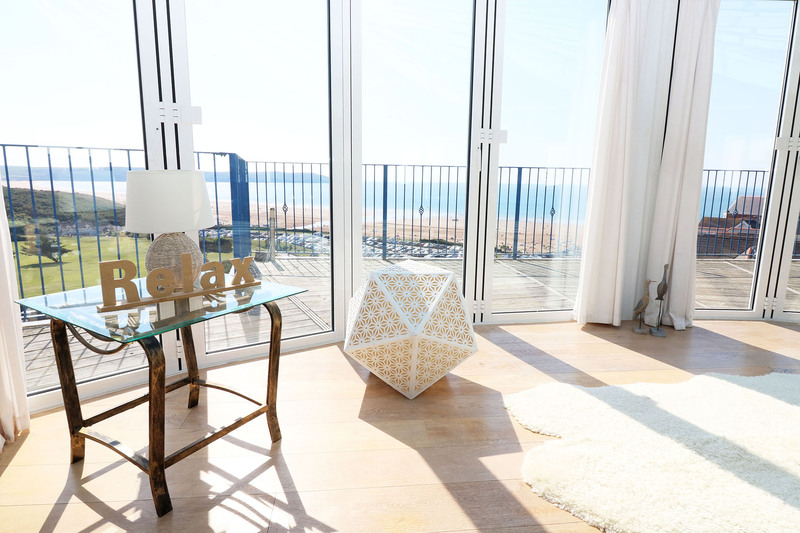 The master bedroom is positioned on a slightly raised area off the living room, separated by heavy curtaining, making it possible to wake up in the morning to this wonderful outlook over the beaches and listen to the sound of the sea! There is an extremely attractive fully tiled en-suite shower room with dual sinks and spacious shower. Off the entrance hallway, an inner hallway leads to a family bathroom with contemporary bath, a further WC with wash basin, double bedroom with bunk beds. 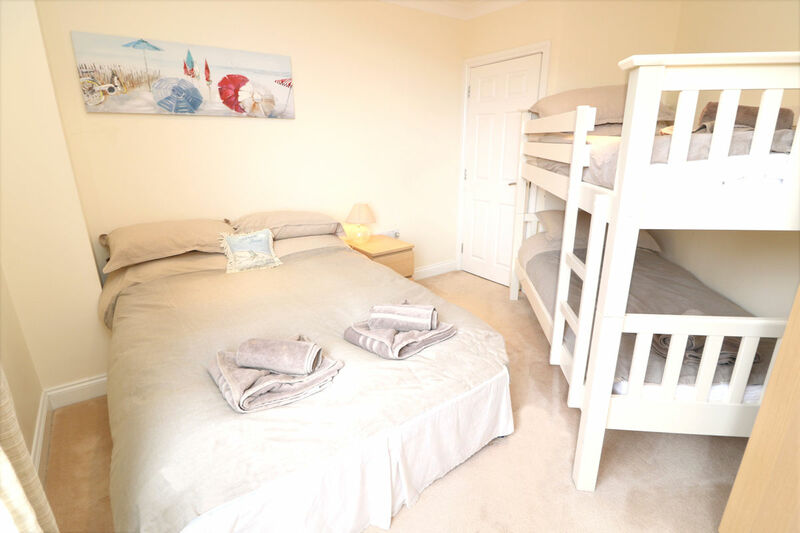 The third double room with single bed opens out to create a further single bed if required. 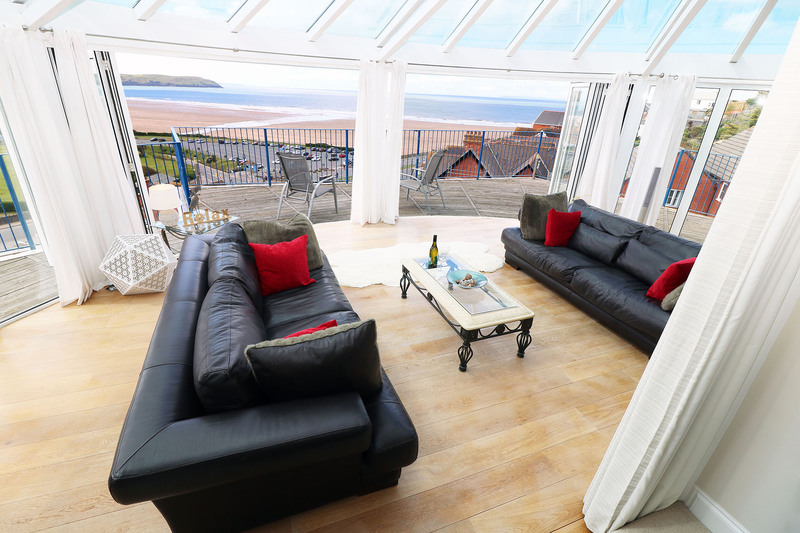 There is a large terrace with table and chairs for entertaining together with sun loungers - a brilliant venue for a family get together or celebratory weekend! 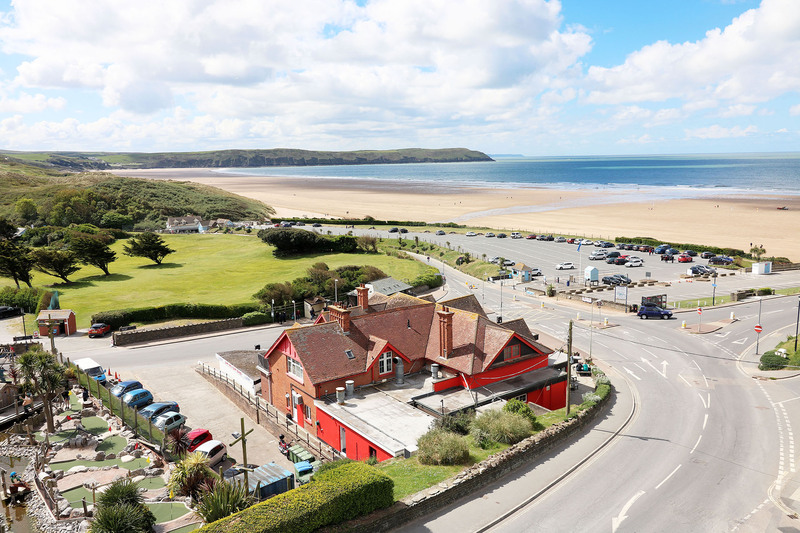 The Penthouse definitely has one of the best views in Woolacombe! 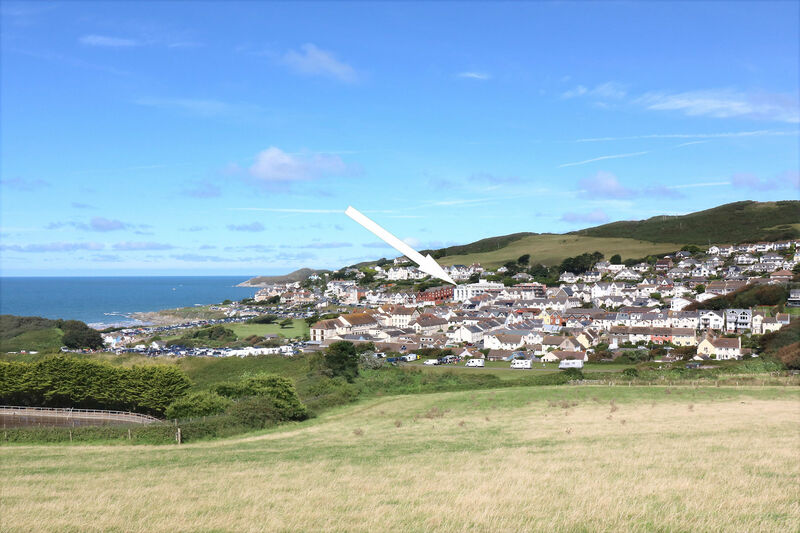 This property is situated on the fourth floor of the building, with access to the apartment via stairs or lift. In the event of a fire or mechanical failure, it would not be possible to use the lift. We stayed with our parents and had a fantstic time.the views from the place are amazing . There is building work going on but didnt effect us- the builders were were friendly and offered to help us when needed anything. The place had everything you need and more, very clean and spacious. The house keeper/manager was friendly and was easy to contact when we needed her. Only tiny negative was no hooks to hang coats up. With six of us we had to leave them in hall on floor The hall is huge so could easily fit hooks up and as we had no children would have been easier if the bunkbeds flattened to wall to make more space..Other than that couldn't fault the place. Wish we could have stayed longer fab place for relaxing and entertaining. 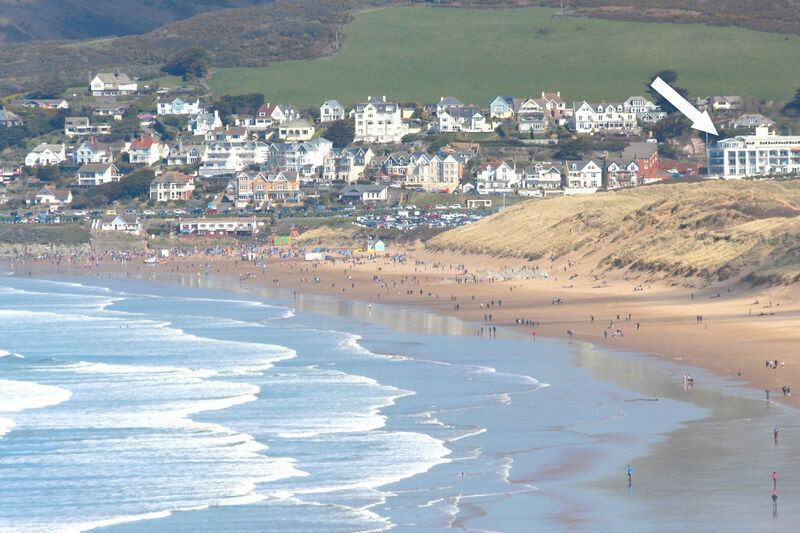 Woolacombe is lovely with shops bars, restaurants and fab beach and walks. Would definitely recommend this place to others.